Nicholas Smith as "Mr. Rumbold." Recently we heard sad news from across the pond that two of Afternoon Tea’s well-loved British comedy performers had died just a day apart. 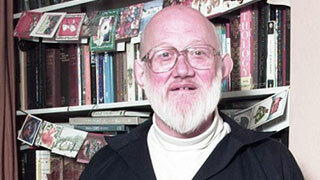 Nicholas Smith, who played Mr. Rumbold in Are You Being Served?, died in hospital on December 6th at the age of 81. The very next day, on December 7th, 74-year–old Shirley Stelfox, the first “our Rose” in Keeping Up Appearances, who had been diagnosed with cancer, also passed away. According to Variety, Smith had been hospitalized following a fall at his home a couple of months ago. He was the last surviving member of Are You Being Served? 's original cast, having appeared in the show’s pilot episode in 1972, until its last episode in 1985. In 1992 and 1993, he reprised his "old jug ears" character for the sequel, Grace & Favour - known here as Are You Being Served? Again! 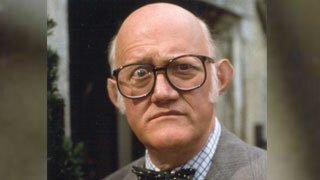 Mr. Rumbold was the first television role for which Smith had worn his spectacles. He also used his own accent, which belied his training as a classical actor at the Royal Academy of Dramatic Art (RADA), alongside the likes of Richard Briers and Albert Finney. Smith in Things That Go Bang in the Night, 1972. Smith, whose parents were both amateur actors, attended RADA after completing his national service in the Army, which he once described as being a most “miserable time. The worst I ever had”. His first acting job was touring schools with the English Children’s theatre in 1957 and he later spent two years with the Royal Shakespeare Company. 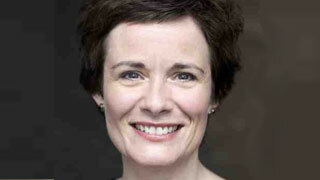 Smith also performed at the Bristol Old Vic and was regularly seen on London’s West End stages. He also made it to Broadway, appearing in 1968 in the play "Portrait of a Queen". Smith’s marriage in 1959, to Mary Wall, a care worker, lasted a year short of 50 years. 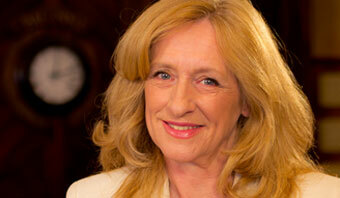 Sadly, Mary died in 2008. The couple’s daughter, Catherine Russell, has followed in her father’s footsteps and works frequently on stage and on screen. In fact, her television appearances are so numerous that you might recognize her from some of the series she’s been in that have aired on MPT, such as The Inspector Lynley Mysteries, Poirot, Waking the Dead, and Sherlock Holmes. Their grandchildren, Sam Russell and Poppy Holmes, are also in the acting profession. As well as acting, Smith was also a published poet, an accomplished musician, a composer and a singer. Following his death his daughter made public a composition he recorded which is presented here via YouTube. I hope you enjoy it as much as I did. 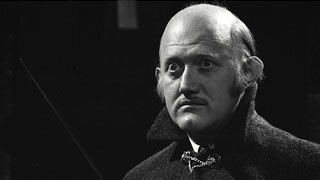 And remember, you can see Smith in his most memorable role, Mr. Rumbold, every weekday afternoon at 2pm in Are You Being Served?, on Afternoon Tea.